Since becoming popular a decade ago, hashtags have provided content creators with an easy, effective way to categorize posts. While their use has expanded from Twitter across other platforms like Facebook and Instagram, some haven’t discovered the full potential of ye old pound sign. While it may seem like a good idea to tie content to as many hashtags as possible, overusing them can negatively impact your social media pages. Instagram posts start to see a drop off in engagement when more than ten hashtags are used. It’s even harsher on platforms like Twitter and Facebook where two seems to be the acceptable limit. Use hashtags to participate in conversations around events and trending topics. Be careful to use them genuinely as audiences may not respond well to obvious marketing acts. What hashtags are your peers using in their tweets? How are they using them? They differ between industries so finding ones that are relevant to yours will connect you to an online community. Don’t simply incorporate your organization’s name as a hashtag, demonstrate what it stands for. 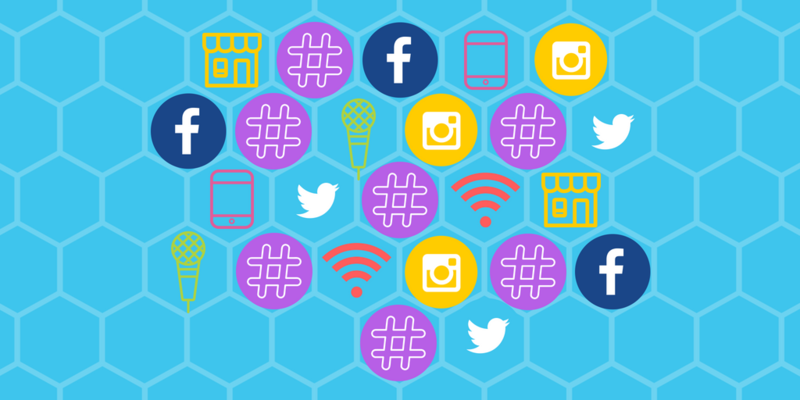 Using brand hashtags help characterize your brand or a campaign in a distinct connected way on social media. Doing so successfully can result in your organization receiving user-generated earned media (who doesn’t love that). Learn how hashtags work on different platforms before implementing. For instance, tags on Twitter are used more for categorizing the topic of conversation while Instagram hashtags focus on the describing the content of the post. Learning more about using hashtags can open a world of opportunity to grow your account’s presence on social media. Remember to stay updated with the latest best practices as social media platforms continue to change. Find us on Twitter @VanEperenAgency. Show us some of your best #hashtag wins!